As far as I know, Polish /ɨ/ is usually not central: in fact, as the chart above indicates, a more appropriate phonemic symbol could be /ɪ/ for this [ɪ] sound, which is actually pretty close to a variety of realizations of English /ɪ/. Since Polish /e/ usually has a realization closer to [ɛ] (or in cases [ɛ̈]), I think the two phonemes and their realizations are roughly as much distinguishable as English /ɪ/ and /ɛ/ are e.g. in bless vs. bliss. Quite right, I think. The two Polish vowels resemble older RP HAPPY and DRESS, including their proximity. Coming to Polish from Russian, I never had any difficulty with Polish written wy- words, corresponding as they do to Russian выь- words. For the non-Polish reader, the proliferation of wy- words on signage is an actual benefit — once you recognise the prefix as a meaningful chunk of print. visually even closer than the Polish pair. Rather more common in public signage, it seems to me, is another pair, equally confusing: wejście ˈvejɕtɕe ‘entrance’ and wyjście ˈvɨjɕtɕe ‘exit’. This pair is more common because it's addressed to people entering or exiting on foot. The other pair is for vehicular enhance and exit. To my ear, Polish "syn" (son) and English "sin" sound quite different. But I am not familiar with how the latter word is actually pronounced by the English, in the diverse parts of England. The Polish "y" and the Polish "e" are, again, to my Polish ear very clearly and distinctly distinguishable. As an Italian native speaker learning Polish I can testify that the opposition between Polish y and e is a source of frustration. Unfortunately for NNS in Polish there are many pairs of words, especially of verbal origin like the wyjście/wejście example you mentioned, which are differentiated only by a word-initial opposition between wy- and we- or also przy- and prze-. At times the meaning is on the contrary similar, which in fact makes it even more difficult to remember which form is the appropriate one! E.g., wytrzeć (to wipe off)/wetrzeć (to rub in); przebić (to puncture) / przybić (to nail). Part of my problem is that I essentially identify Polish y as a kind of Italian closed "é"-sound, not of "i"-sound, especially when it's in an unstressed syllable (e.g., in word-final position). For example, the Polish words palmy (palms), rany (~gosh), bandy (bands), sound very similar to the Italian words palme (palms), rane (frogs), bande (bands). This is a problem especially for adjectives: for example, only making a deliberate effort I can differentiate pairs such as dobry and dobre, złoty and złote (in Italian unstressed "e" is always a closed é so word-final open è in paroxytone words is impossible). Fortunately imperfect adjective agreements of this kind are very unlikely sources of communication problems. That said, given the exacting precision Poles apply to the y/e/i opposition, it is perhaps surprising that they do not automatically feel the opposition between Italian closed/open é/è or between English beat/bit pairs. Well, I have to say I fully support Wojciech above. Polish /ɨ/ does sound different from KIT because it's more central. If anything, it's closer to the New Zealand pronunciation... And I have to support John, too; /ɛ/ is also noticeably more central in Polish than in English. I've long been unhappy with Jassem's vowel chart. True, it's derived from acoustic data, but from just a couple of speakers; and I think the two vowels have been centralising for some time. I associate the really centralised values with younger speakers; and by "younger" I mean younger than about 40. But it could as well be a dialectal thing. Actually, at the moment I'm collecting data for an acoustic analysis to address this long-standing peeve of mine... We'll see how they come out, but at the moment, at least for some speakers, /ɨ/ is about halfway between /i/ and /u/, and /ɛ/ is essentially due "south" of it. There's also some allophony in /ɨ/ depending on whether it's final or not. @David Crosbie - thanks for the comments. As a NNS of Russian and Ukrainian, I didn't see anything confusing about the distinction in Polish, as it is similar, as Mr Crosbie pointed out. Initially, it's a bit of a hassle to learn to pronounce, but I think that's mostly because of the consonant combinations and an unfamiliar vowel. "That said, given the exacting precision Poles apply to the y/e/i opposition, it is perhaps surprising that they do not automatically feel the opposition between Italian closed/open é/è or between English beat/bit pairs." This is because we don't hear the difference between these pairs of vowels. è is like our 'e', but 'é' closer, much closer to our 'e' than to our 'y'. 'i' in 'bit' is closer to our ''i' than to our 'y'. Neither does 'rany' ('Zounds!') sound very similar to 'rane' (frogs) to us. Like you make always the difference, yourselves... Macche, Lorenzo!.. A lady from Rome living in Milan once told me, while they were talking about a 'pesca', she expected a fishing event, while what they meant was a peach... . I don't collect such anecdotes, but you're being told such-like quite frequently in Italy. When I say 'ten' in Polish (this) and 'ten' in English (decem, dieci, what not...) the way I was instructed over 40 years ago, that is, like the hoodlums terrorised me into pronouncing, imagining it was 'standard' in England, I notice my tongue moving slightly front-wards, which seems to speak in favour of our 'e's being centralised, slightly. But my impression is that our 'y' is more centralised. So I agree wjarek too, but maybe our 'y' is not directly over our 'e', but slightly more to the east. my audial impression is that the Russian 'y' of 'bI' is a bit higher and fronter than ours, it sounds bit more ee-like to our ears. About the Ukrainian I dunno, too little experience. You're probably right. I was commenting on the crossover from knowing something about the other written language. I place no trust in my ears, but I have the impression that Polish vowels are not as schizoid as Russian vowels. The sound of stressed ы is very different in quality from that of unstressed ы. For me at least, it's hard to hear them as belonging to the same phoneme. Russian vowels are very schizoid, as in Russian, like in English, there is a very strong word-stress and a huge difference between stressed and non-stressed vowels. In Polish, like in Italian, there is none. This should make it easier to Lorenzo to master the tongue of Kochanowski and Mickiewicz. Polish 'ty' and Russian 'tы' (thou) mean the same and the initial consonant is (give or take minute subtleties) identical. Yet they sound different. The vowel! Another argument against Polish 'y''s being identical or nearly-identical with the English bit-vowel: The latter is nearly identical with the German vowel spelt 'i' in such words as 'Bissen' (bit, bitte), or 'Witz' (joke, wit), or 'finden' (find). This German vowel is quite frequent in German. Yet, germanophones learning Polish and trying to pronounce our 'y' never substitute their 'Witz'-vowel for our 'y'. The mistake the latter for their short 'e', which is about the same as the English 'e' in 'ten'. They don't believe us when we say we really hear a difference between 'wejście' i 'wyjście'. Russian has very few vowels. Consequently, on a chart, Russian vowels could be represented by a blurred disc whose diameter is much wider that it would be in English, French, and German. For stressed ы only, this allows Russian native speakers to use alternatively a tense version of it and a non-tense version of it without even noticing that for a western ear, they are using two different sounds. I'd like to confirm that Poles have no trouble hearing 'wejście' i 'wyjście' or such apart. Their 'e' and their 'y' ar as distinct from one another (to them) as are the 'i' in 'bit' and 'e' in 'bet' to an average educated English person. One articulatory difference between the vowels is that 'y' is far higher and a bit backer than 'e'. In fact, the incriminated Korean vowel of 'Un' (see Mr Wells's last posting) sounds to us like an unnaturally retracted 'y'. There is always a Polish way-out, Poles are die-hards. Yet fortunately enough, they have not so far been blessed with such incredible 'dear belovèd leaders' as the Kims of North-Korea. BTW: If you are tired of Polish consonant clusters and such, you should try Latvian, chaps. 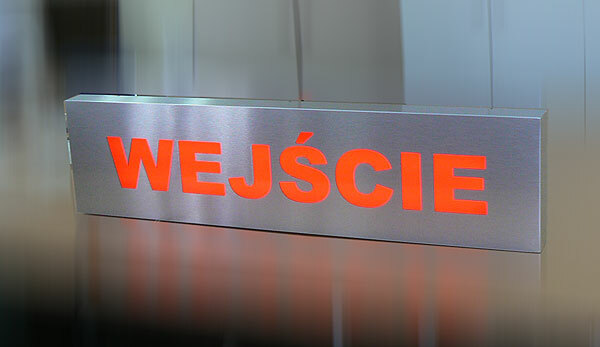 'wejście' is 'ieeja' in that Language; whereas 'wyjście' is 'izeja'. I leave to you, that which will offer no difficulty to you so-ever, versed linguists that you are, to recognise to Indo-European roots in both words. I meant "EACH Russian vowel could be represented by a blurred disc whose diameter is much wider that it would be for one vowel of English, French, or German". "I’ve noticed this particularly in the final vowel of the placename Katowice, which tends to sound closer to English ə than to English e or eɪ." The lenght of 'e', as well as other vowels, in Polish depends largely on the region of speaker's origin. Nevertheless, it's lenght does not change the meaning. Thus, 'Katowice' can be pronounced with /ə/ or /e/ or even /ɛ:/, and still maintain the same meaning and be understood by all Polish NS. Compared to English, French, and German, Russian has very few vowels. That's one way of looking at it, but not one that I find useful. One of the first problems for a learner is that Russian has so many vowel letters. From a phonetician's point of view, this masks a phonological reality of five vowel phonemes with predictable allophones largely determined by the presence or absence of palatalisation in adjacent consonants. For the learner, that is far from helpful: the differences between vowel allophones are easy to hear and (largely) supported by the orthography; the differences between 'hard' and 'soft' consonant phonemes are very difficult to hear and not supported directly by the orthography. There's also a problem with seeing the vowels as five distinct circles. At the unstressed outer reaches they would lose identity. A fully reduced version of the е/э vowel sounds the same as a fully reduced version of the и/ы vowel. For the purposes of this thread, it's especially useful to see the sound represented by ы as distinct and corresponding (approximately) to the sound represented by Polish y.
I should have said the sounds represented by ы . After all, Mr P was responding to my observation that stressed and unstressed variants were very different. I am always coming across these little traps when I translate out of Polish. Working late at night on a pressing deadline, or after one glass of wine too many, it is easy to make a major booboo. Another example of a one letter difference is external - zewnętrzny versus internal - wewnętrzny. Neither does 'rany' ('Wounds!') sound very similar to 'rane' (frogs) to us. I'm just saying that to my ears (and presumably to other Italians') Polish y, especially when word-final, is reminescent to é, and much less to "i"... Maybe that's quantitatively wrong (supposing by absurd that one could measure objectively phonetic distances of sounds) but that's my perception. I guess in part this is due to gramatical influence, as "é" is the usual feminine-plural ending and hence it feels very natural to use it in cases like the above-mentioned rana/rany, koza/kozy etc. By the way, now that I'm at it, Italians would also mix up s/z (e.g., koza/kosa) but fortunately consonants are easier to learn. You've hit the nail on the head there! This fact, combined with the semi-indentification of y with é, is the very reason why pairs such as przyszłość/przeszłość oppose very weakly indeed to me! To most Italians (myself included) there are practically no minimal pairs distinguished by é vs è alone (Tuscans are the exceptional ones). I say "practically" because actually I believe that all regional varieties of Italian always distinguish the conjunction "e" (and, pron. é) from the verb "è" (is). That is, all varieties which use both é and è.
yes, that was strange: not enough contextualisation, apparently in our post-modern world everything can "do the job" of anything else... Besides, that was in Milan, if you know a bit that city. In Polish, we are saved from confusing 'kod' (code) from 'kot' (cat) because most of the time these words occur in a non-nominative case, where the difference is clear, for instance 'koda', 'kota' (genitive) or some such. Also, it IS possible to confuse 'karze' (he is punishing) and 'każe' (he is commanding), I have seen or heard such confusions. I agree that YOU guys don't hear the difference between our 'e', 'i' and 'y'. All I wanted to say was that we do. Of course we agree that all three are _somewhat_ similar, but not to the point of getting indistinguishable. The weirdest thing about Polish: many people keep insisting on saying ''there are nasal vowels in Polish''. According to the book ''Phonology of Polish'' (by Gussmann), there are no nasal vowels in Polish anymore. We can talk of non-phonemic nasalization, which is also frequent in American English (in words like ''dance''). 200L, what people? Professionals talking about phonology? Or teachers of Polish who very reasonably tell their students to nasalise certain vowels? Or laymen who hear nasals and correctly state they're there? I'm afraid I haven't Gussmann's book at hand. Does he say phonetically, there aren't any nasal vowels in Polish? I know it's late in the comment game but I can't help but mention a Czech example: "paní" (Mrs) vs "páni" (gentlemen). I have actually met a male English learner of Czech who walked into the Ladies at a pub without pictorial signage on toilets assuming that the "Páni" label must mean "Ladies" and walked into the other one. In English we have hypothermia/hyperthermia, hypotension/hypertension etc. , which is perhaps even worse in that they are pronounced exactly the same! (the difference is in an unstressed syllable which tends to be realized as a schwa in normal speech). What ends up happening (in my area anyway) is that "hyperthermia" and "hypotension" get their second syllable artifically stressed to make the contrast (if no stress is heard then the 'default' option is to select the more common one of the pair). Sometimes I think that Russian, with its ВХОД/ВЫХОД, should be a bit more regular - like Bulgarian, where it is ВХОД/ИЗХОД. Old Wolf wrote : "In English we have hypothermia/hyperthermia, hypotension/hypertension etc., which is perhaps even worse in that they are pronounced exactly the same!". Pronounced [identically] by whom ? Not by me, and not by the speakers in John Wells' LPD.